Sadly it is time to wrap up our summer library tour. The girls and I have had a fantastic time visiting a variety of Toronto Public Libraries. We have truly loved exploring our city. 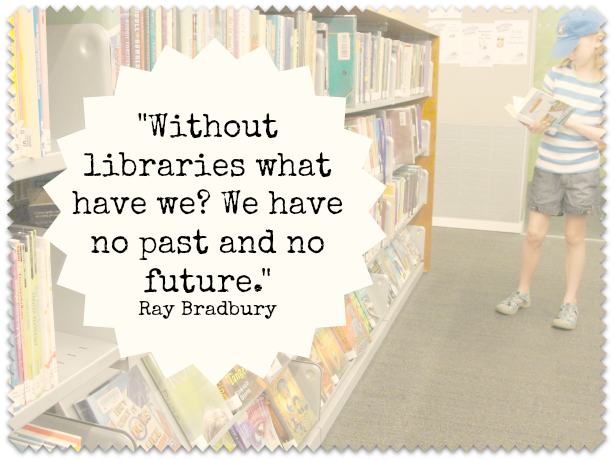 My love for the public library stems from the belief that everyone should have access to information. Books are our primary source of information. 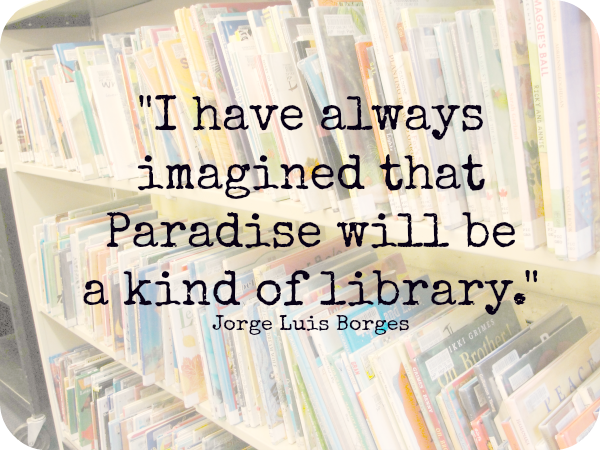 Everyone needs to have access to books…this I believe wholeheartedly. 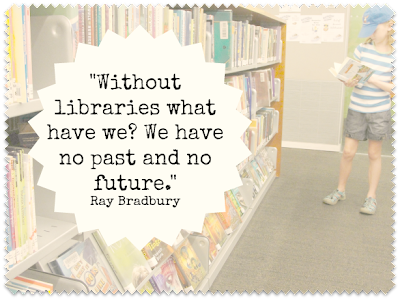 This summer we wanted to inspire all of you to go out and visit your local library. You might be amazed at what you find. Today we are sharing the Ultimate Library Guide For Kids. Here is a list of fun, kid-friendly and beautiful libraries around the world. 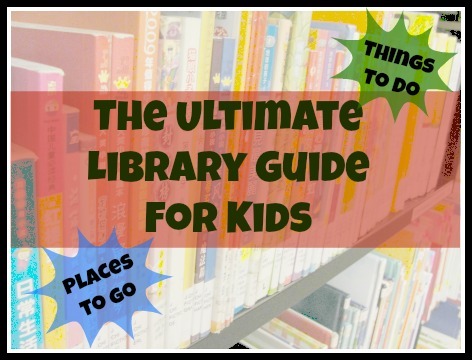 If you can’t make it out of town, then why not check out some of the library related activities for kids. 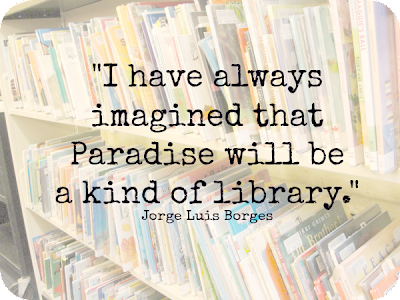 We’ve also got links to articles all about loving your local library. All Done Monkey recommends The North Natamos Library, in Sacramento, California. This modern, eco-friendly and family friendly library has a great kids section. There are special programs not only for little ones, but for teens as well. Stop by the New York Public Library’s Stephen A. Schwartzman Building…the one with the lions out front…and visit the incredible children’s collection. A treat within the bustle of Manhattan. You have to see this incredible library bookshelf in Kansas City. Edventures With Kids shared the story behind this beautiful bookshelf – that actually is a facade over a parking garage. Amazing what a little imagination can create. Chicago is home to an amazing public library that is entirely catered to children, Thomas Hughes Chilren’s Library. Our next trip to Chicago will include a trip to this fun library branch. East Coast Mommy suggests a visit to the Pictou Antigonish Regional Library, also called “The People Place”, in Nova Scotia. This library is an integral part of the community hosting preschooler programs, lego groups, teen programs, family movie nights and much more. If you are wondering where you might find the most beautiful libraries in the world, check out this list on Oddee.com…your jaw will drop! Have fun playing library at home with The Pleasantest Thing. And, check out Edventures With Kids home library play…complete with a library computer…wonderful. Have fun with The Little Librarian Pretend Play kit for kids…a kit filled with everything you need to become a kid librarian. Or, you can make your own librarian kit to give as a gift, just like Make the Best of Everything did. Imagination Soup encourages kids to love the library by creating a library scavenger hunt (plus some other great tips). Ruffles and Stuff hosted a library themed child’s 5th birthday party, complete with librarian glasses for everyone. Rainy Day Mum makes a point of visiting her local library every week, find out why. Creative Family Fun shared 10 ways to use your local library…packed with great tips. Boy Mama Teacher Mama visited their local library and discovered the pure joy of reading books. Check out the great tips for visiting your library; putting books on hold, sign up for email reminders and many more from obSEUSSed. This post is such a fun resource! Thank your for gathering it all together, and for including us! Ha! Thanks Tonya! I’ll make the correction. I think I’ve got Florida on my brain what with the convention and the storm! Thanks.